Enter our calming, peaceful oasis and experience a sense of deep relaxation and healing. Body work is for anyone, whether you're an athlete, a mother-to-be, young, old, or just someone undergoing the stress of everyday life. Since 1984, we've provided professional massage therapy and body work to hundreds of clients throughout the New Jersey/New York area. Tucked away on the main street of this bustling metropolitan suburb, you’ll find Elisabeth Lindberg’s Massage Studio, an oasis of spiritual balance and harmony. Step through the trellis, and enter the solarium. If you would like, sit for a few moments first on the welcoming bench in the carefully tended garden and experience the tranquility. Once you step inside, your senses will come alive while your mind prepares you for the experience that awaits. View our video to preview what you will experience. 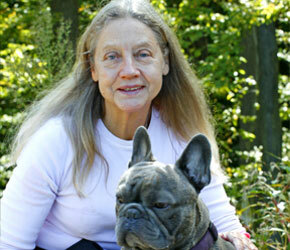 Our services page lists all of Elisabeth's heeling therapies. Choose a gift that's always welcome! Relaxation. A gift of massage is unexpected and cherished. Regular massage clients will be overjoyed. If your friend, neighbor, spouse or significant other have not yet experienced an Elisabeth Lindberg massage, they will be so grateful you introduced them! Purchase with PayPal or credit card. A certicate will be emailed to you to forward, or print and hand deliver! Call Elisabeth at 201-934-1751 to discuss a personalized gift certificate to be mailed to you. Elisabeth will promptly mail a beautiful handwritten certificate to meet your exact requirements. LOMI LOMI combines the best of Shiatsu, Swedish and Thai Massage techniques. It breaks up tension in the muscles and joints, greatly boosts your circulation and releases congestion and toxins for a deeply relaxing healing experience. For centuries Lomi Lomi has been limited to the islands. Only a handful of people offer it here in the states. I am proud to be one of those few offering this extraordinary massage technique. Clients who have been coming to me for years, say that Lomi Lomi is the best massage they have ever had. Why not experience it for yourself? Wear loose clothing for reflexology and shiatsu; for other massage techniques, you'll undress in a private space and be discretly covered with a sheet or towel during the session. Before your session begins you’ll sit in a cozy waiting room, breathing in the delightful scent of serenity while sipping a cup of warm tea and enjoying a light snack. Take the time to take care of yourself, make yourself happy, melt away the tension, and be more balanced in mind and body. A session with Elisabeth will transport you into a different time and place where you’ll feel totally rejuvenated. 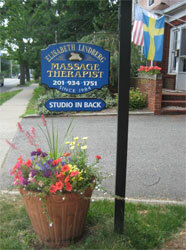 If you’re around the corner, a few towns away, or seeking refuge from the busy city, consider the Elisabeth Lindberg Studio. Experience the peace and tranquility to heal your body and mind in the oasis that is the Elisabeth Lindberg’s Massage Studio.